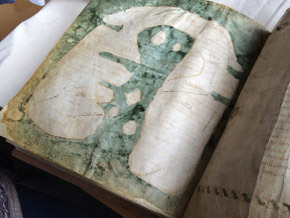 In an ancient town in the southwest of France lies a “treasure”: Albi’s Mappa Mundi. Dating from the 8th century and included in a manuscript, this map is the oldest known representation of the world as a whole. How was it made? Why is its shape so particular? What exactly does it describe? What was its purpose? To answer these questions, historians, paleographers and scientists conduct a minute investigation and, step by step, the Mappa Mundi reveals its secrets.